To use Kill-Tracker Ghost, you must have a basic version of the game Destiny 2! Experimental energy. Deadly precision. Cold as ice. 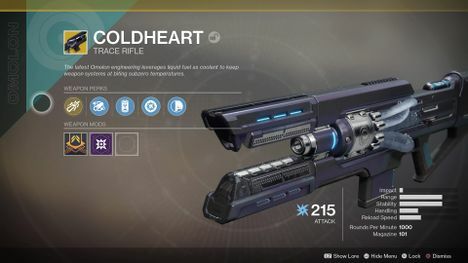 The Coldheart Exotic Trace Rifle. 3. Activate the activation key. Item received within seconds. Brilliant! Спасибо от сбербанка! Всё успешно активировано!